This is a basic socket.io setup with the server listening on port 5000. 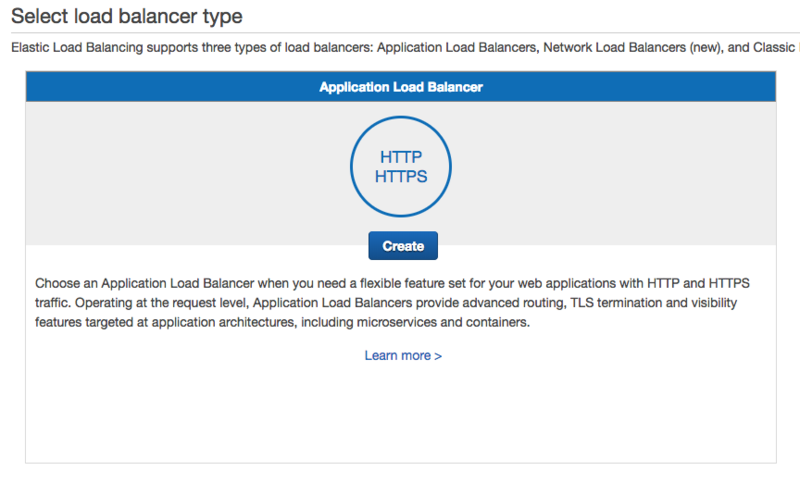 This step is standalone, but I include it in the automated script below for AWS. I like to run my socket server with Forever JS. It will make sure your socket server stays running even if it hits an exception. Setup your client side application to communicate with your socket server. We’re going to connect to our ELB using port 3000. Your socket server is listening to port 5000, and that’s okay because we’re going to use nginx to handle the proxy in one of the next steps. This script should be used in your web application. 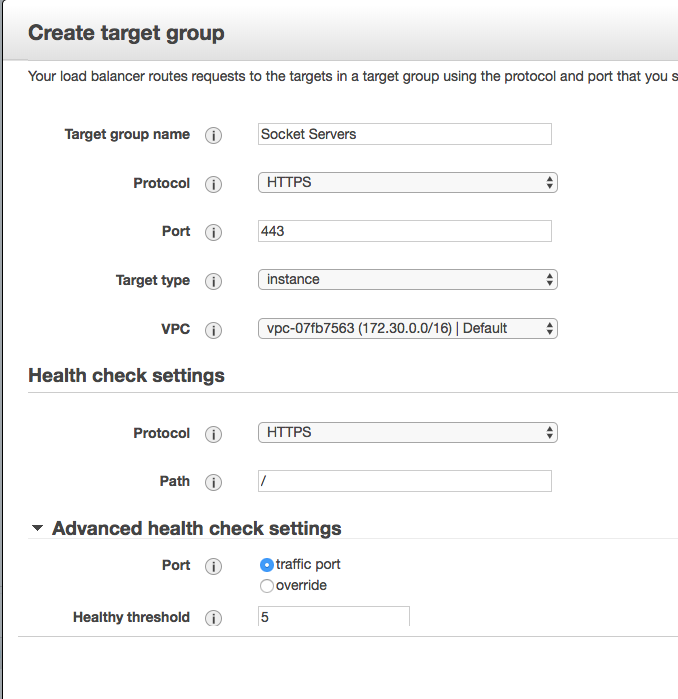 Before you can create an autoscaling group, you have to create a launch configuration. 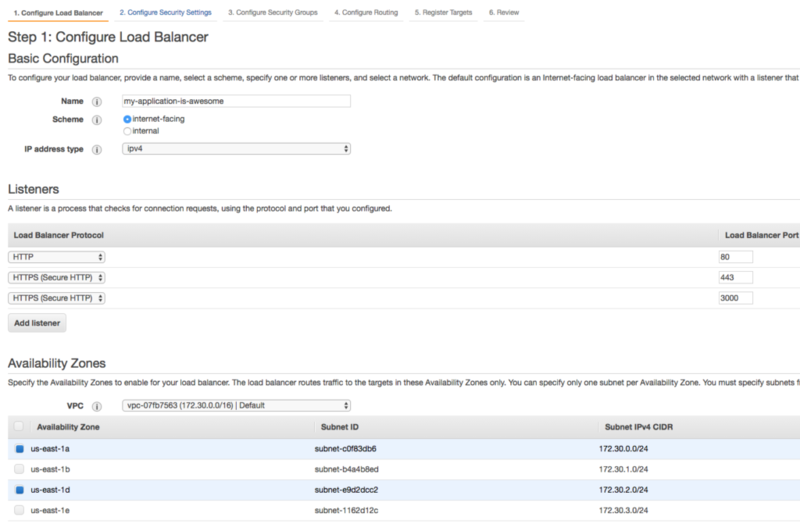 This is simply a way for AWS to know exactly what EC2 resource to spin up on its own. The most important part of this step us the ‘Advanced’ settings where you can enter user data. This can be base64 encoded or plaintext bash scripts. The user data allows you to run all the commands you would normally run manually, automagically. Here’s sample user data you can use to bootstrap your instances quickly. I’m going to break this down in chunks. The entire user data script is here. sudo openssl req -nodes -x509 -days 1024 -newkey rsa:2048 -keyout /etc/nginx/ssl/server.key -out /etc/nginx/ssl/server.crt -subj "/C=US/ST=YOURSTATE/L=YOURCITY/O=YOURORG/OU=Web/CN=YOURWEBSITE"
Notice we create an upstream that points to our socket server listening on port 5000. We listen for SSL on port 3000 to handle the handshake. For the full script, please see this gist. This is pretty standard. You will need to launch your targets into the desired VPC and subnet. Once you have created the Auto Scaling Group, you will need to assign your Target Group by editing the ASG in the lower pane of the UI. This is a very important step, otherwise you will have no group to launch your instances into. Next, you will need to choose your certificate since you are listening for SSL connections. I recommend using Amazon Certificate Manager. It’s easy and they take care of the six month renewals automagically. The ELB will want to direct traffic to a target group. Select the group you created earlier from the dropdown. You will need to configure inbound and outbound traffic via security group for the ELB. The outbound traffic goes to your Target Groups. Make sure port 3000 is allowed to pass through to your socket security group. Port 80 and 443 should be allowed to go to your web server group. Since this setup does not necessitate a cluster of socket servers within the EC2 cluster, you can simply enable sticky sessions on your ELB for users to maintain their session on the EC2 instance. Once your DNS has propagated, you should be able to point your socket.io client to https://www.yourdomain.com:3000 and get a connection! Take your time to go through all of these steps as each one is necessary. Double check if you missed any step. Use tail -f /home/ec2-user/OUTPUT.log or tail -f /home/ec2-user/ERROR.log to see if your server script is error’ing out. CTRL-C to exit the tail. If you’re not getting healthy targets in your group, spot check instances via SSH to make sure you’re getting traffic in. A really useful log to look at to see if your bootstrap worked properly is to check /var/log/cloud-init.log. This is where you will see the stdout from your user data script. Test your websocket connection using this online tool. It helps to sanity check!